You may think you are alone – but you are not. Unfortunately, there are many families across the United States where one of the parents is an alcoholic or drug addict. 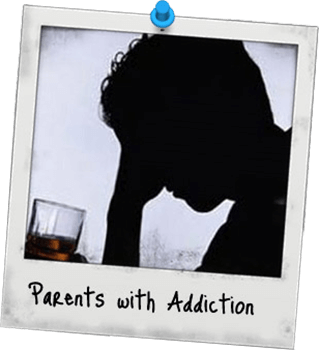 It is easy to feel like you are the reason why your parent has an alcohol or drug addiction – but that is not true. Nothing you do caused your parent to drink or do drugs. Both are diseases and you need medical attention to overcome them. It is first important to understand the effects the alcohol or drugs will have on your parent. Then you will understand why your parent is acting the way they are. How does addiction and alcoholism affect my family? So what can I do to make the situation better? First, acknowledge that there is a problem: don’t ignore the problem. The first step to helping your parent is recognizing the problem then speaking to a friend, trusted adult, or a hotline (1-800-344-2666). Recognize your feelings: write down your emotions or talk to a friend about them. It is better to voice how you are feeling than bottle it up. Stay informed: Research alcoholism or drug addiction so you can better understand what your parent’s illness is. Stay safe: if you are avoiding spending time at home because you are afraid, call (800) 799-SAFE. This is the National Domestic Violence Hotline. Or, if the danger is immediate, call 911 to get emergency help. Learn the best way to cope: your parent may be drinking or doing drugs as a way to cope with problems. However, this is not the correct way to deal with issues. Find a role model that copes through positive activities, such as running or singing. Finally, stop the cycle: Because genetics and the environment are important risk factors of alcoholism, children of alcoholic parents are more likely to continue the cycle.